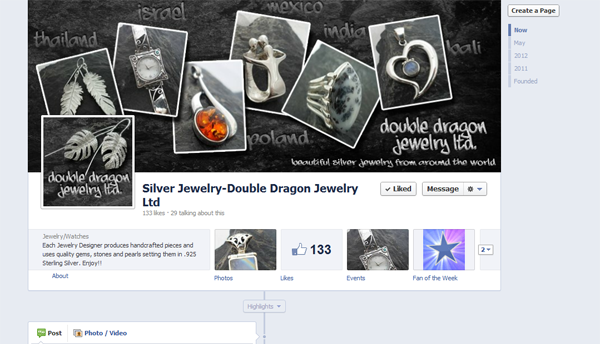 Double Dragon Jewelry Ltd. needed a new cover and profile picture that best showcased their business. Double Dragon Jewelry Ltd. offers amazing silver jewelry from around the world. She came to us to create a Facebook Timeline Cover and Profile picture that would showcase their fine jewelry.